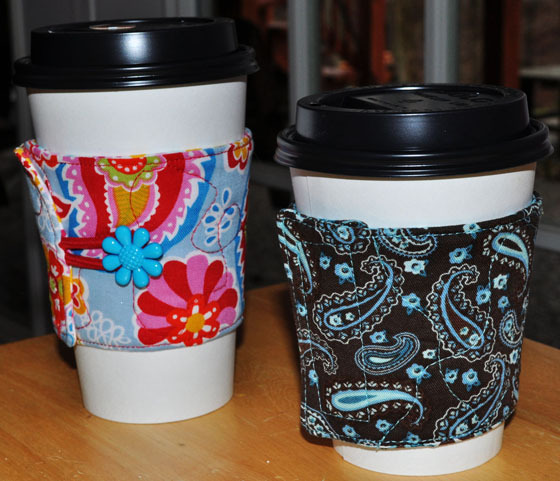 Free Cup Cozy (Java Jacket) Pattern comes in 2 sizes with your choice of Velcro or Button Closure options. While hanging out at the local coffee shop with friends, I noticed the paper wraps for coffee and tea cups were not only always falling down, they were quite unattractive. (Gasp!) This really bothered me, and when something bothers me, I feel the need to fix it immediately. The Stitchwerx Designs Free Coffee Cup Cozy (aka Java Jacket) Pattern is my solution to this pressing issue. This free sewing pattern comes in two sizes with your choice of Velcro or Button Closure options. So whip up a Cup Cozy and be the envy of the local coffee shop crowd! The first thing you will need to do is download the pattern by clicking on this link: Stitchwerx Designs coffee cup cozy pattern. This pattern has two templates: 12-16 oz. and 20-24 oz. cozies along with a materials list and step-by-step instructions, but we’ll go through the steps here too. I won’t go through the entire materials list to save some time and space since you can get that right off the pdf pattern. Just a note: Always prewash and dry your fabrics and batting to prevent cozy shrinkage in the wash! Many people think they can skip this step, but for best results, take the time to wash and dry first! Choose the template for your cozy size and print it out at 100%. The 12-16 oz. size fits the most-used coffee/tea carryout cups. I made the larger (20-24 oz.) size for my daughter and her college roommate because they have those big reusable plastic cups. I also use the larger version because I am a 20 oz. smoothie drinker. The cozy keeps my hands from freezing and it just looks so darn cute! 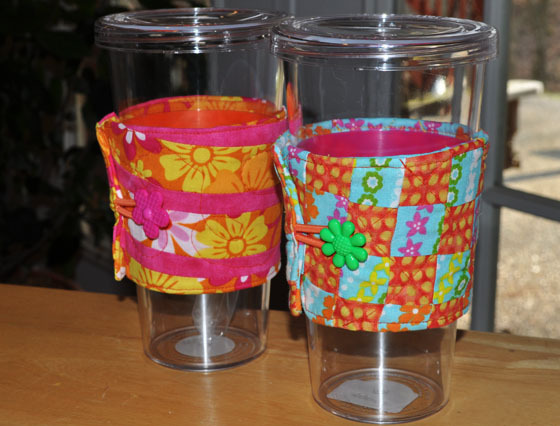 Large size cup cozies fit 20-24 oz. cups. Vertical stripes and Checkerboard Square Designs shown here are available in the Stitchwerx Designs etsy shop. Cut out 1 each of front, back & batting using your selected template. Trim about 1/8” off the batting all the way around to reduce seam bulk. Fuse batting to wrong side of the back panel. Cut hair elastic in half. Make a loop with 1 piece. With right side of back piece facing up, position loop on right edge as shown in photo. Zig zag stitch loop in place. 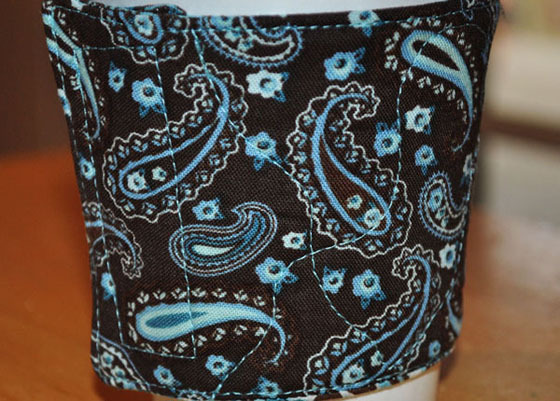 Pin front to back right sides together & stitch using 1/4” seam allowance. Leave opening as indicated on pattern so you can turn cozy right side out. 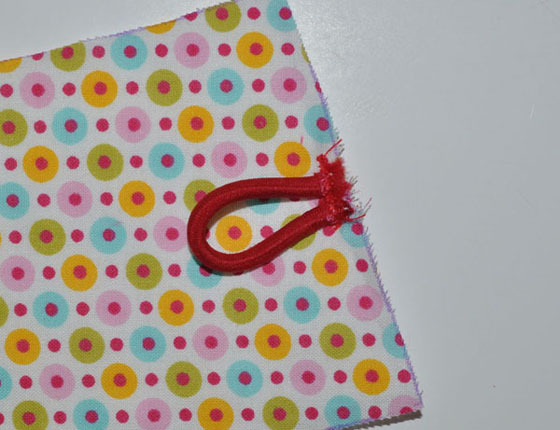 If you are doing the Button Closure version, reinforce the stitching where the loop is sewn into the seam as shown below. Clip corners and curves being careful not to clip into seam. Turn right side out. Turn in 1/4” seam at opening and press. Stitch 1/8” from edge all the way around. Cut Velcro strips to fit about 1/4” inside cozy height. 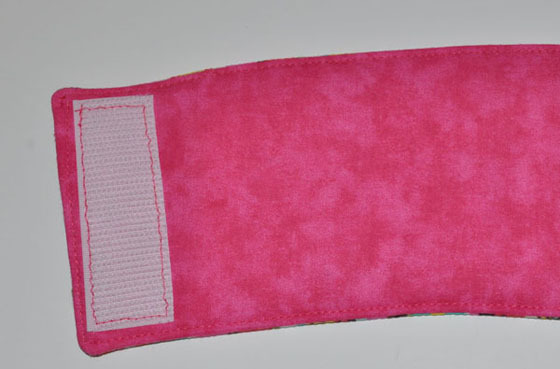 You can use 5/8″ – 1″ wide Velcro. 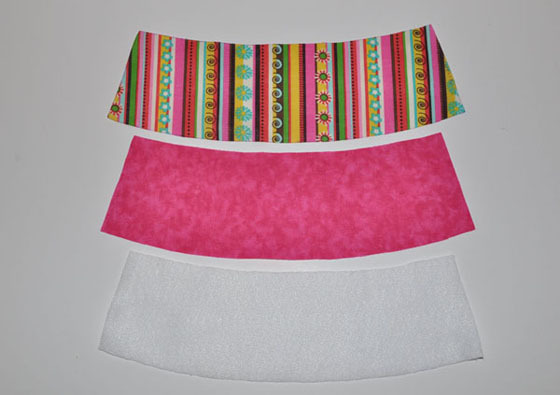 Sew hook & loop Velcro strips in place on cozy as shown in photos. 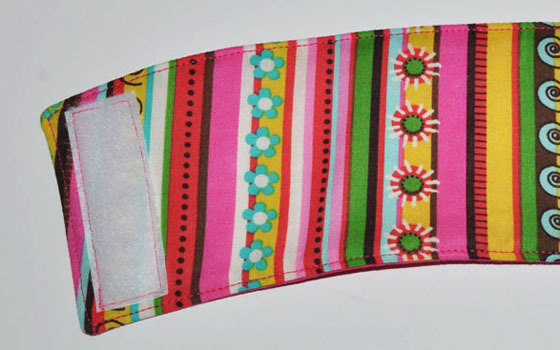 Cozies with Velcro closures are reversible by flipping cozy around and fastening Velcro the other way. How perfectly versatile is that? You can machine quilt both versions at this point if you wish. This is optional. I like to quilt my cozies. 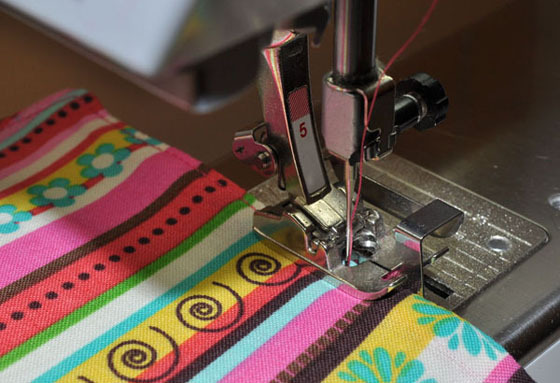 You can do the freestyle quilting or straight lines, really whatever you want. After quilting, sew you button on as indicated on pattern. Sew your button on as indicated on pattern. A shank-style button works best. Your cozy is now ready for use! 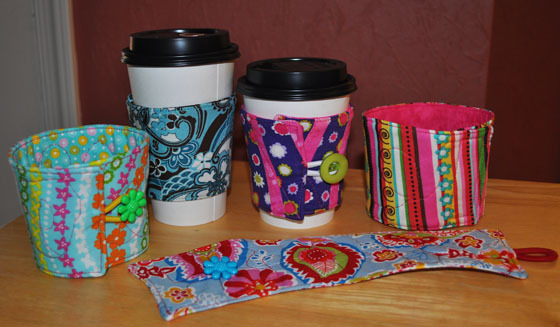 Take your cozy to the nearest coffee shop and let everyone admire your mad cup cozy making skills! This entry was posted in Free Patterns, Sewing, Sewing Patterns, Tutorials and tagged Cup cozy, cup cozy pattern, cup cozy tutorial, free cup cozy pattern, free cup cozy sewing pattern, free java jacket pattern, free java jacket sewing pattern, java jacket, java jacket tutorial. Bookmark the permalink. These are so stinkin’ cute! I teach sewing at a private school (52 students this year!) and I’ll just leave the picture out to bait them….see how many bite. Plenty, for sure! I also have a friend who teaches at a school in France: They can’t afford patterns for the classroom, and she asked me for ideas: Isn’t this just perfect! Thank you for your generous, thorough and detailed instructions, you’ll make many a teenage girl happy, and probably their moms or other gift recipients! Thanks Beatrice! If you want some more “challenging” designs for the front panel, please stop by my etsy shop and check out the applique and embroidery front panel designs or the strip piecing designs. There are links in the post too! Happy Sewing! I’m not a frequenter of coffee shops, but my daughter took me to one in a book store we visited a day or so ago, and so saw a coffee sleeve for the first time. Kept it to use as a pattern to make them for my daughters as stocking stuffers. Actually had the idea of using a pony tail band as the loop closure before I saw yours. Very, very cute. Will print your pattern so I do not have to draft one with the seam allowance. I do have a question though regarding your sewing machine. I like the foot that you used for the topstitching. What is that foot called? I would like to get one for my machine. I have a Bernina sewing machine. That foot is the bernina # 5 blind hem foot, but it also works well for sewing narrow edgestitching. 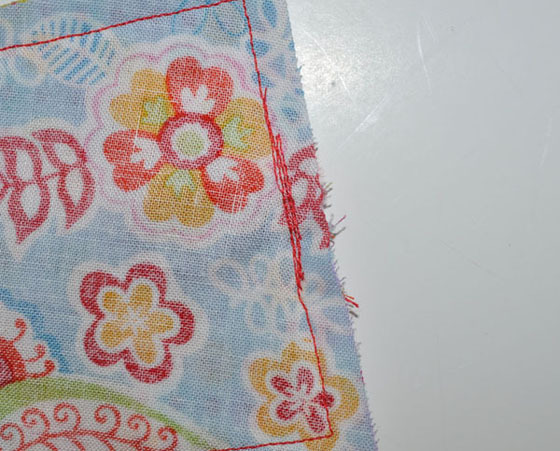 You just move the needle over to the far left position and keep the fabric edge up against the guide. Thanks so much for your comment and stopping by! Thank you for the pattern. It is very generous of you. I have a few last minute Christmas gifts to make and these will be ideal. Thanks again. Love this idea. I am getting back into sewing after many years of being too busy. 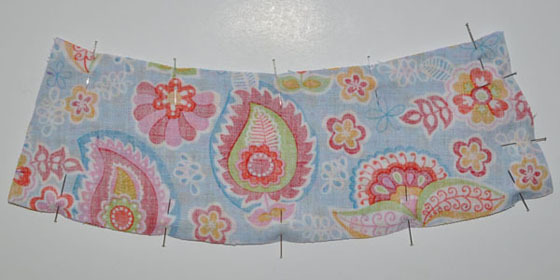 This will be a fun idea to start using up my fabric stash…and make some awesome gifts. Thanks so much.